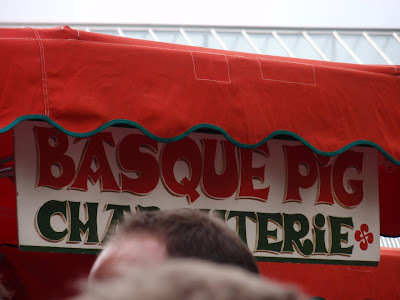 Guest post – Food heaven in SE1 (London, UK) | eat. live. travel. write. Want some of the freshest produce in this city? 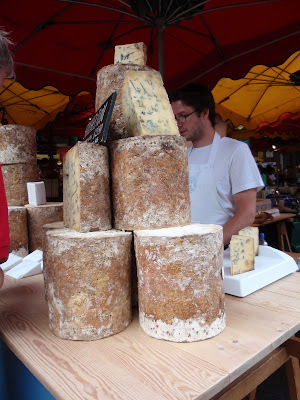 All London foodies know just where to head to; Borough Market, just south of London Bridge. Now the food may be just out of the estuary/sea/abattoir/soil but the notion of a market here is very old indeed with trading in this area going on from, oh, about 1014AD. 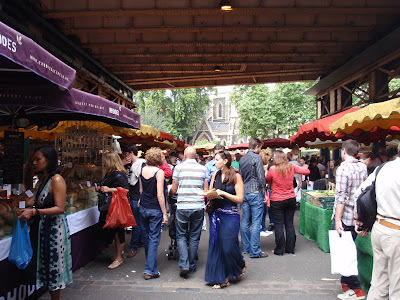 The current location has been in existence since 1755 and today it has become a successful, thriving, quality food market attracting locals and tourists alike. 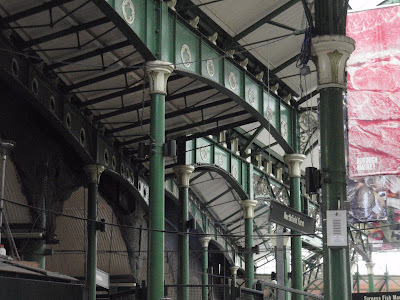 The market sits underneath a series of Victorian railway arches. 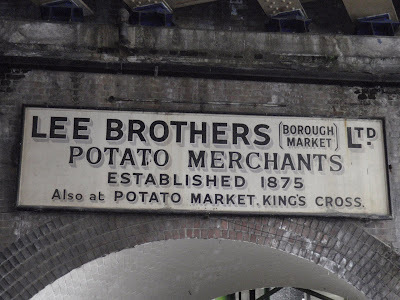 As you weave your way around the 4 interconnected areas via alleyways and arched tunnels it has a truly Dickensian feel. Hugging your bags and wary of footpads, fingersmiths and cutthroats you are first assailed by the noise. The vaulted brick arches echo back the cries of vendors and customers alike, creating a buzz of excitement that you just cannot ignore. As you move further into the melee you find yourself gradually being accosted (in the nicest possible way) by the stallholders. Not your old style cockney market traders these, but people who are passionate about their produce and keen to share this with everyone they make eye contact with. 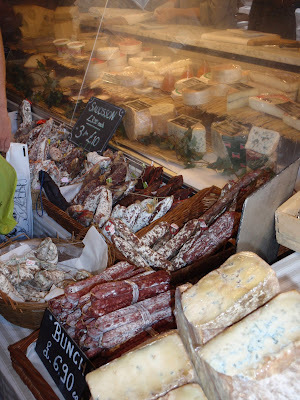 You can talk and taste your way from stall to stall, jumping from Turkish delight to Italian focaccia and onto French saucisson, taking in some English stilton as you go. Produce is broadly from the UK and Continental Europe. You’ll find all the essentials for the food lovers’ cupboards; wine, olive oil, spices, specialty bread, and prize-winning cheeses. Basics are also there in abundance. 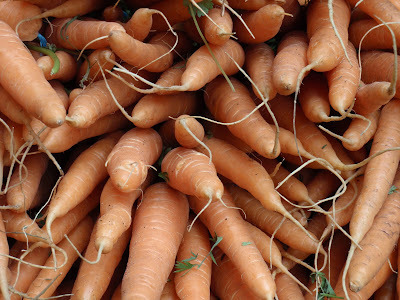 The greengrocers’ stalls are laden with seasonal fruit and veg, which, going by sheer quantity this week, must be carrots. 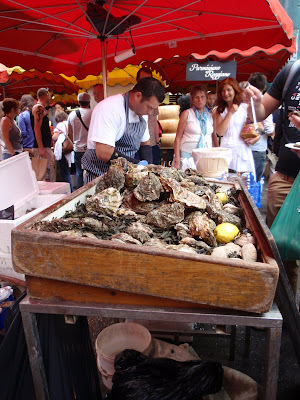 Rock oysters are also currently a hot favourite as they can be sold in the UK all year round, unlike the natives, which can only be sold when you have ‘r’ in the month. As you emerge from the market, back into the bustle of Borough High Street it’s guaranteed you’ll be lighter in the wallet, not from pickpockets or other ne’er do wells, but because you’ll be carrying bags full of some of the freshest, most delicious food you might ever hope to eat. If you’re ever in London, go visit this award-winning centre of food heaven!! Wow Cathy, this looks tremendous! Wish I was there to share a bottle (or two) of rose with you…well and ideally dear Lizzie as well. 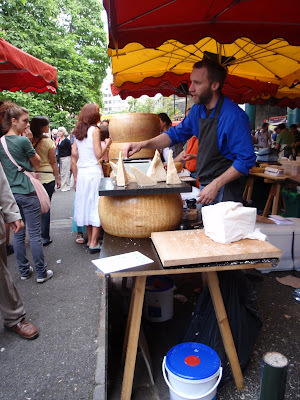 What a great guest post and what an awesome market! One of the best I've ever been to. Yes – Cathy does write well! Thanks for stopping by Mary! So wish we had known about this one when we were there a few years ago.